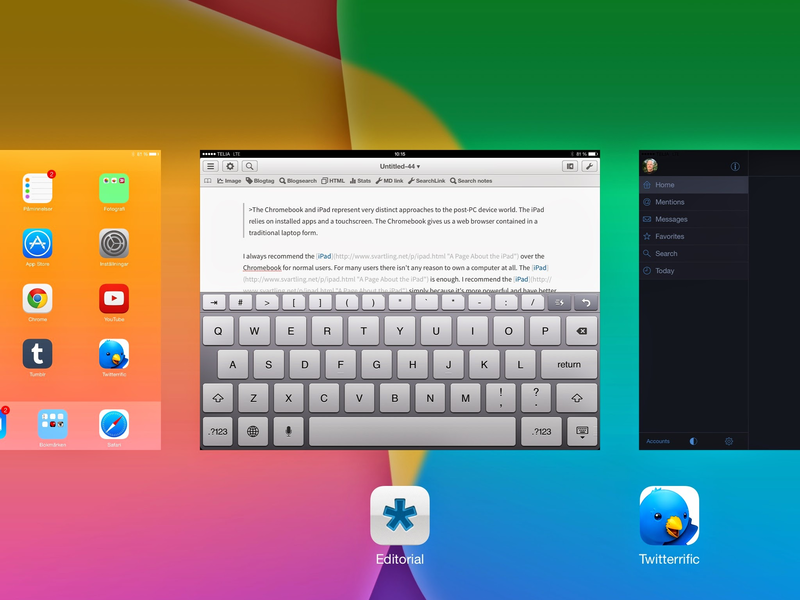 Having the same gestures on the iPad and MacBook Air, makes the user experience even better than it already is. For example swiping left or right between open apps. The iPad has every app open in full screen, and I always have that on my 11-inch MacBook Air too. So doing a swipe to switch between apps has become an habit for me. Or the swipe up to see all open apps in a long row, easy to get an overview and switch to the app you need. I feel right at home no matter which device I use. That's what I call great user experience.